With years of austerity and the nibbling away at the professions territory, the UK can sometimes seem a hard place to find worthwhile projects to undertake as a landscape architect. One UK practice, craft:pegg, has scored a significant success by adopting a strategy of inventing projects and clients to undertake the dream jobs they would never otherwise be able to engage with. 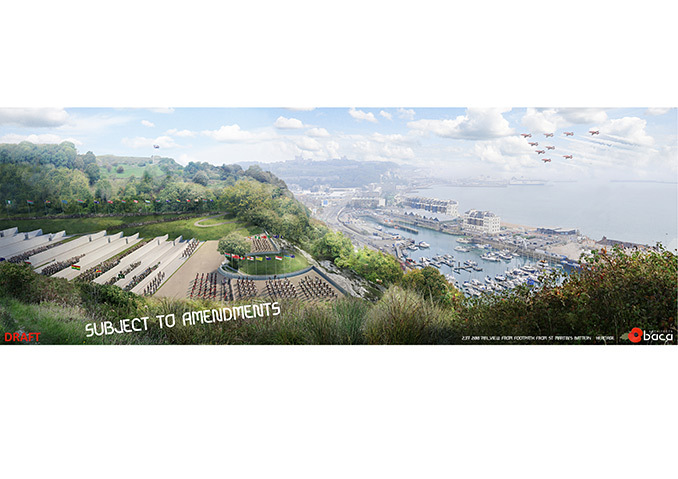 In 2005 as part of an academic studio to investigate how entrepreneurial architectural initiatives might save “At Risk” heritage from the ravages of time the practice developed a purely hypothetical project to create a huge memorial to all of the British Commonwealth War dead from the two world wars. The precedents that drove this were Liam O’Conners Armed Forces Memorial in Staffordshire and Maya Lins Vietnam War memorial in Washington DC. The trend of these memorials had been away from the figurative or abstract gesture of memorial to a more personal naming of real individuals. The concept was married with the decaying fabric of one of Europe’s greatest Napoleonic Fortifications, the Western Heights of Dover. 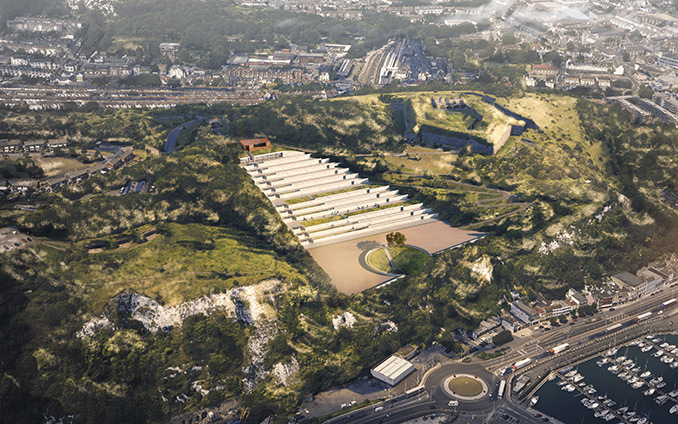 Taking a site atop the iconic White Cliffs, a dry valley formerly filled with the bulk of barrack blocks and topped by the abandoned architectural jewel, the Drop Redoubt. craft:pegg provided a series of twelve white masonry terraces stepping down the site. 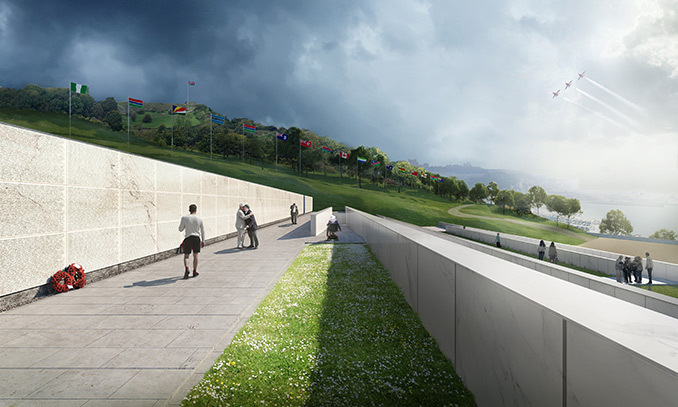 Each terrace wall planned to be inscribed with the names of every one of the 1.7 million British and Commonwealth Servicemen and Women that died in the conflicts. A head of steam built up through a number of design iterations and the all important tv and press coverage until in March 2016 Central Government provided a generous grant to initiate the project. Design development in 2017 has been undertaken under the wing of WSP but craft:pegg have remained at the helm. The project is now out for public consultation, but the entrepreneurial angle craft:pegg have developed seems to have bearing on creative professional worldwide. Paula Craft, John Pegg, Marc Birch, Aitor Albo, Christina Godiksen, Dagma Sirch.